It performs really nicely under load (ensuring you have enough processes available). Open HANA Studio (steps were in the previous blog). In the SAP HANA Modeler View, select from the top menu, file->Import… select Data from Local file and follow the prompts. Select the delimiter as appropriate and adjust the data types. This can be a bit tedious, so maybe break for Starbucks now. 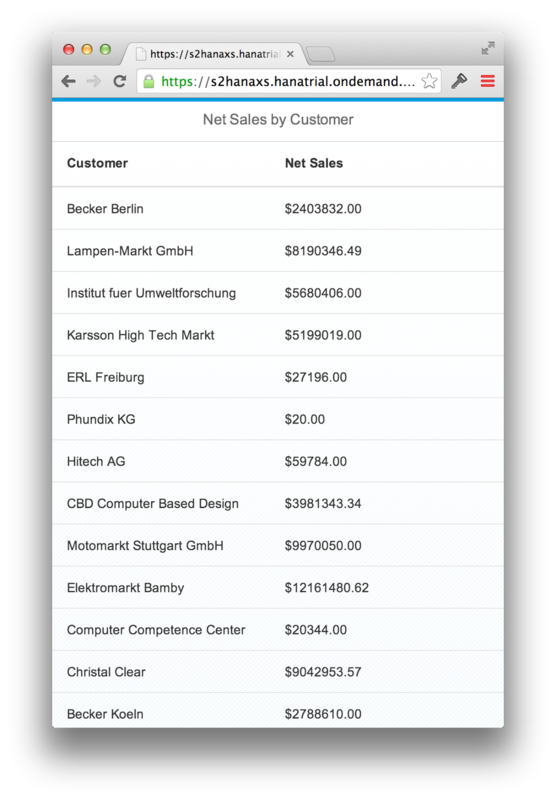 Once completed, you should have the two tables available on the HANA Cloud in your Catalog. We will join the two tables in this view, rename the fields, and provide some filters for easier adoption by the XSEngine and ODATA consumers. 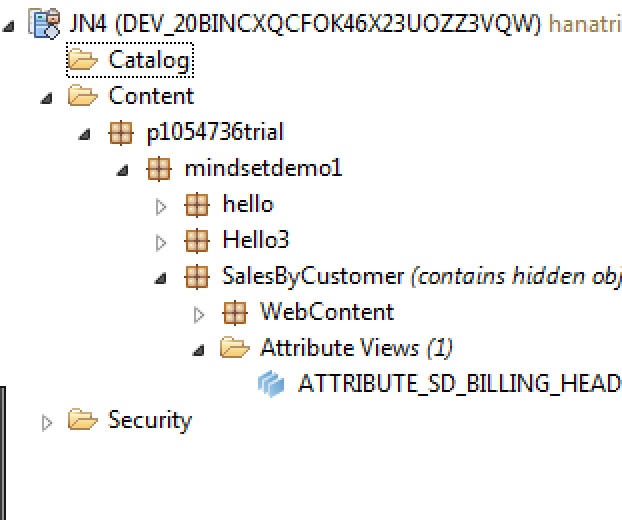 In the HANA Modeling View, navigate in the Content folder to the namespace that we declared in the last blog. 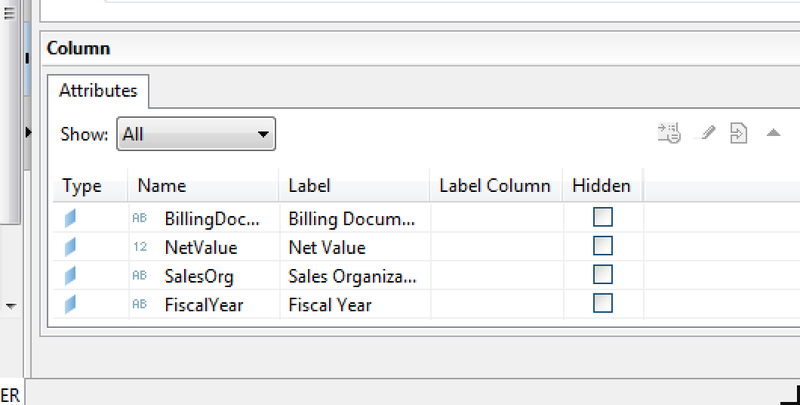 Create a new attribute view ATTRIBUTE_SD_BILLING_HEADER. Open and edit this attribute view. 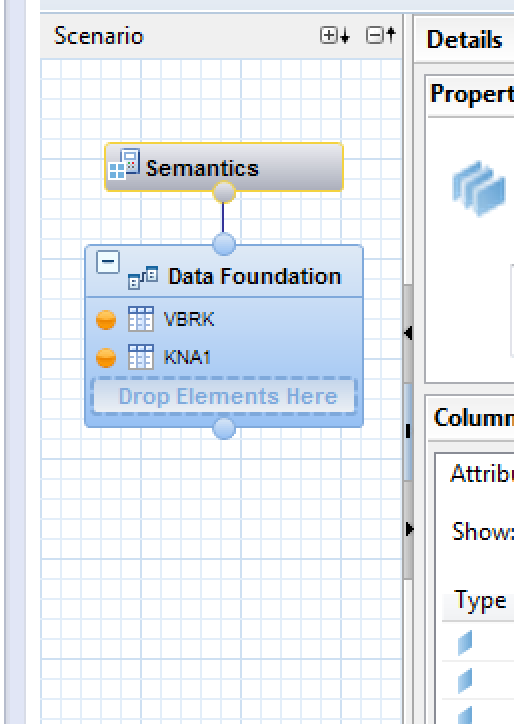 Add in the two tables, KNA1 and VBRK to the data foundation. Double click on the data foundation to conduct the mapping. 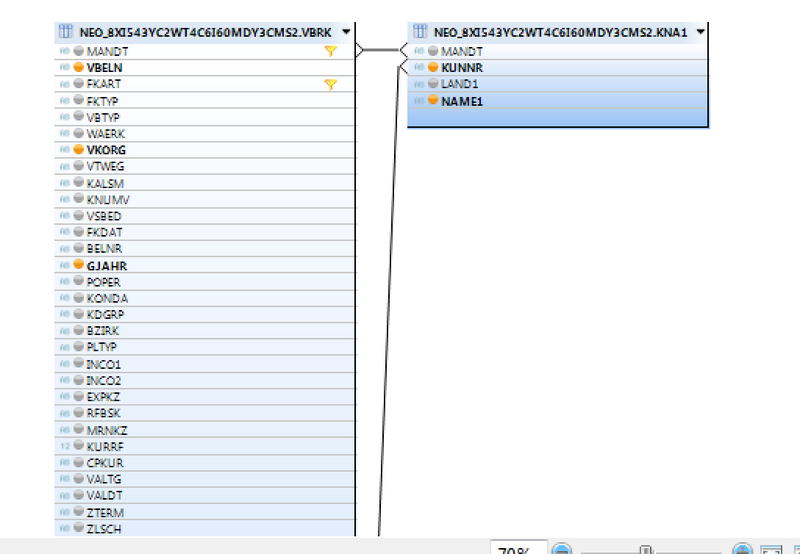 In the VBRK table, right-click on MANDT and add a filter for client=800 (this is for IDES). Right-click on NETWR and select add to output. Next join VBRK to KNA1 by connecting MANDT on VBRK to MANDT on KNA1. Also join KUNAG on VBRK to KUNNR on KNA1. Finally right-click in KNA1 on the NAME1 and add that to the output. Grab any other fields for the output that you may want to use such as SalesOrg. Next double-click on the Semantics section so we can rename some of these fields. Rename them something nice to the reader. For example, NetValue, CustomerName, SoldTo. From your project, right-click on the project title and select file->new->other->SAP HANA->Application Development->XS OData File. Name this SalesByCustomer. Let’s go back to our view and switch out the JSON Model, for the ODATA Model. Navigate back to the folder <project name>->Web Content->salesbycustomer->SalesByCustomer.view.js. Comment out the setData() command. 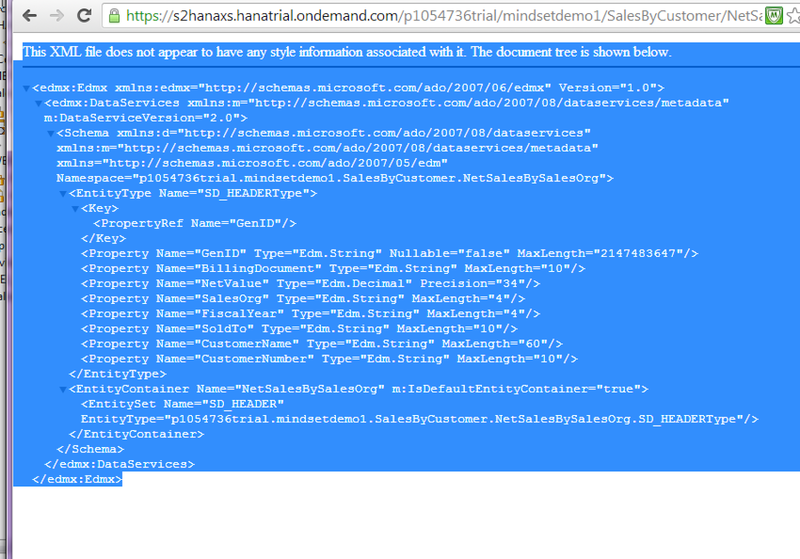 Now you have a live HANA SAPUI5 application reading ECC data. In part 3 of the blog, we will go to the final step of embedding this into a hybrid app for iPhone.